1). 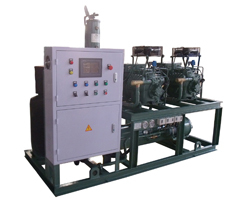 Bitzer semi-hermetic compressor, good quality and reliable performance. 2). 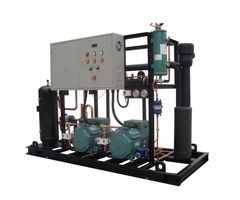 Multi-paralleled compressor and public main discharge & inlet pipe, condenser, liquid reservior etc, to form a refrigeration circuit. The units is with big capacity, easy to control in central. 3) It is of compact structure for collective installation, with small space room. 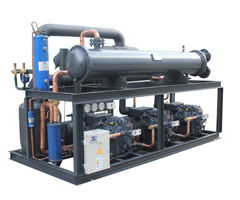 4) It is of mutl-stage energy adjustment according to the cooling load, so that the performing cost get reduced effectively. 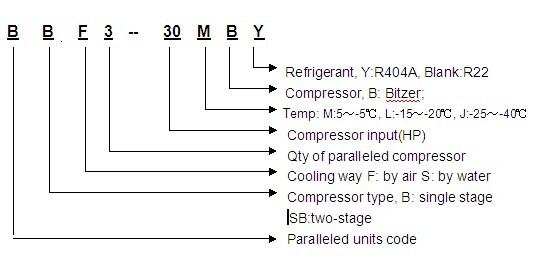 5) It can reduce the effect that the units fault caused on the performance in maximum, which increase the reliability of the units performance. 6) Specification is as PDF file.